Summary: Destination is a state of mind. A tale of one girl and her bike and the road ahead. 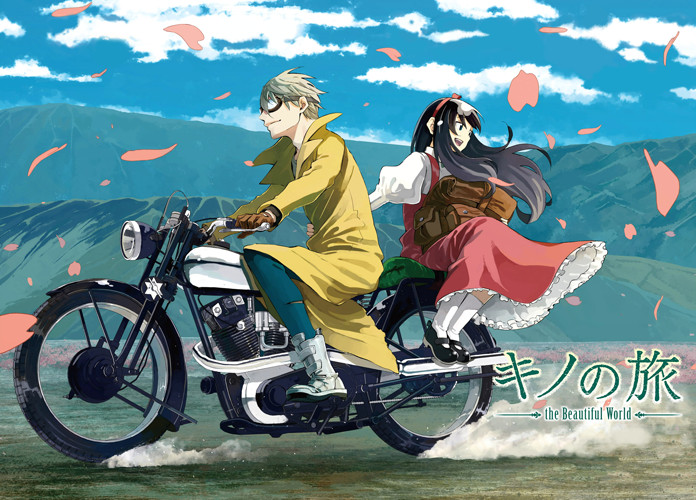 Kino wanders around the world on the back of Hermes, her unusual, anthropomorphic motorcycle, only staying in each country for three days. During their adventures, they find happiness, sadness, pain, decadence, violence, beauty, and wisdom. But through it all, they never lose their sense of freedom. They discover that because of the world's imperfections, it is actually a thing of beauty. "The world is not beautiful, therefore it is."